Welcome to Shaw Family Angus! 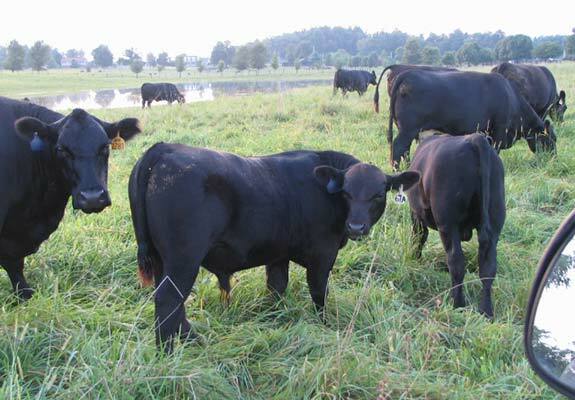 A family owned and operated Black Angus Seed stock operation located near Hodgenville in central Kentucky. Cathy and I were married in May 1975 two weeks after I graduated from the University of Kentucky with a BS in Business Administration. 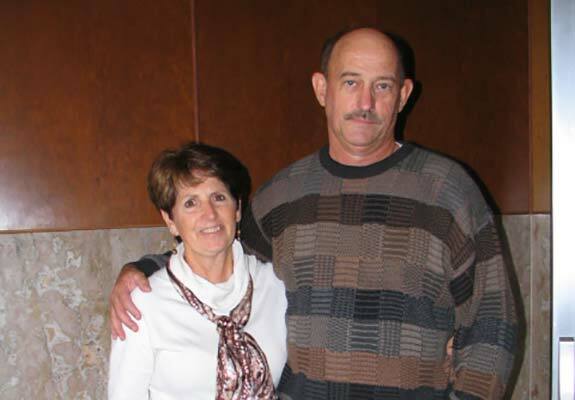 Cathy had just graduated from Nursing School and had taken a job at Hardin Memorial Hospital in Elizabethtown, Ky. I took my first job with a finance company also in Elizabethtown. Our first home was on the family farm where I was born and raised near Hodgenville. The farm had been in the family since the 1880's. When I was growing up it was a Grade A dairy operation, but shortly before I left for college and due to an injury to my dad, the cows were sold and it was leased to a grain operation. We bought our first cows that same year (1975) and using the remaining pasture portion of the farm started our cow herd. In December my close cousin Jerry Branstetter was killed in a car wreck and my Uncle Ham Branstetter dispersed their 3rd generation Rose Hill Angus herd. From this dispersal we bought our first registered cows. After two years as a small loan officer I quit and started grain farming using the farm and other leased ground as well as raising tobacco. Our first child Jamie was born in 1979, followed closely by our first son Jimmy in 1980 and his brother Chris in 1984. At first the cattle were just another source of income and a way to utilize as much of the farm as possible but as Jamie, Jimmy and Chris got old enough to become Junior members the goal was for them to learn a good work ethic, organization, public speaking and all of the other good values as well as be exposed to all the other facets of the show cattle world. Jamie who is now Marksbury has her own operation about 8 miles away (Voyager Angus) near Buffalo, Ky. She works fulltime as a pharmacist. 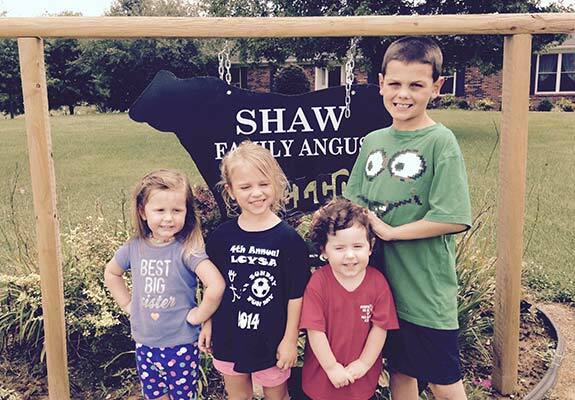 Her two children Jacob (Jake), 9, and Ellee, 5, are already working with the cattle and starting their own Angus journey. Jimmy, an Industrial Engineer, moved home in 2006 and has a farm close by. He helps when he can with the hay crop and other areas. 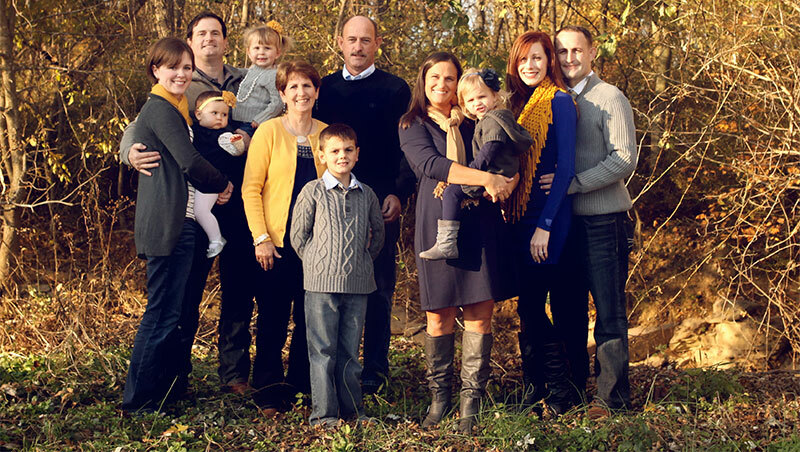 Together with his wife Holly he has three children, Abby Rose, 5, Anna Beth, 3, and James, 1. Chris, also an Industrial Engineer, lives in southern Indiana with his wife Steffanie and is not involved at present but we are hoping that changes. They have a daughter Scarlett, 9 months and are expecting a son in September of 2016. As time went by, what started out as a hobby/goal with the kids, turned into somewhat of a passion for Cathy and I. We still have some of our first cow families that we have improved with an AI program over the years and some of our pedigrees go 6 and 7 generations deep. In 2008 we bought our 1st. of several herd bulls from Kelly Schaff at Schaff Angus Valley in North Dakota. 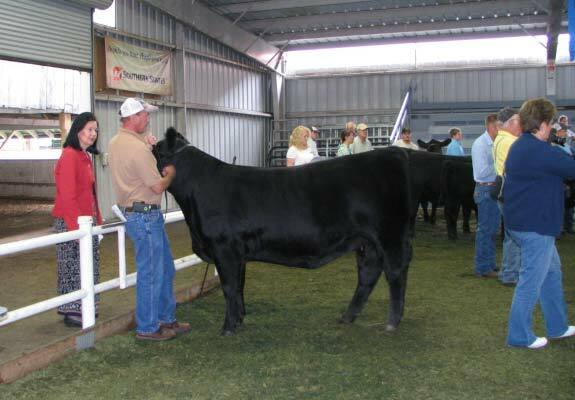 We have since bought females from there as well as Champion Hill In Ohio and others. We like our cattle to be sound, structurally correct and pleasing to the eye. We like for the cows to be highly maternal, calve unassisted, and hold their flesh on pasture. We strive to breed replacement bulls that will improve our buyer's herds, adding growth and pounds with a reasonable birthweight and have carcass quality that will bring top dollar for them. One thing we don't do is chase numbers. EPD's in concept could obviously be a very useful tool in selecting breeding stock but I have been surprised how many good cattlemen have been caught up in the hype about numbers. I would think that a lot more people should be asking more questions about the statistical soundness of the data bases, the formulas used in the computations and many other questions. Cathy and I do all the day to day work with the cattle and still enjoy doing so. 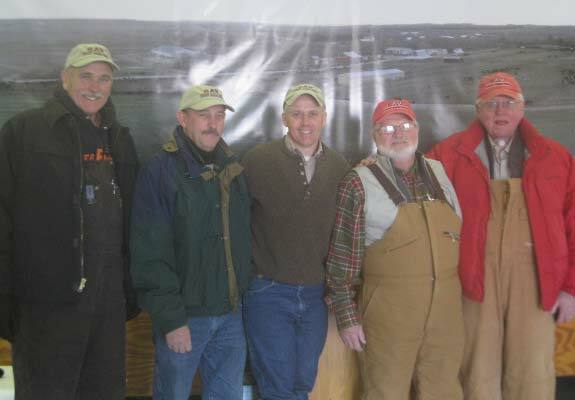 We enjoy the various Angus events and meeting people from other parts of the country. We have made some really good friendships and value them greatly. 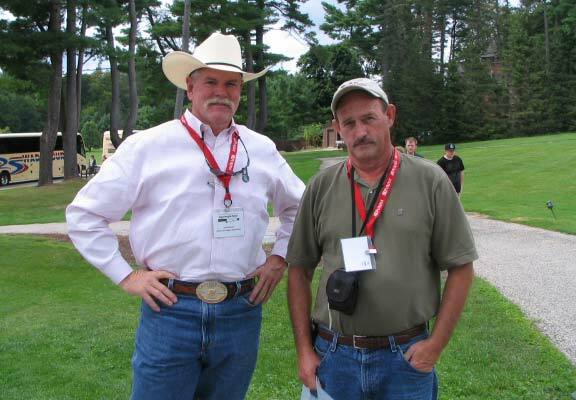 We are always glad to talk cattle and show our operation. SAV Prototype 1283 was the high selling Providence son and feature of the 2012 SAV sale where Kelly Schaff labeled him as the phenotypic standout- flawless in his structure and loaded with shape, substance and style. The kind that could compete at any level. 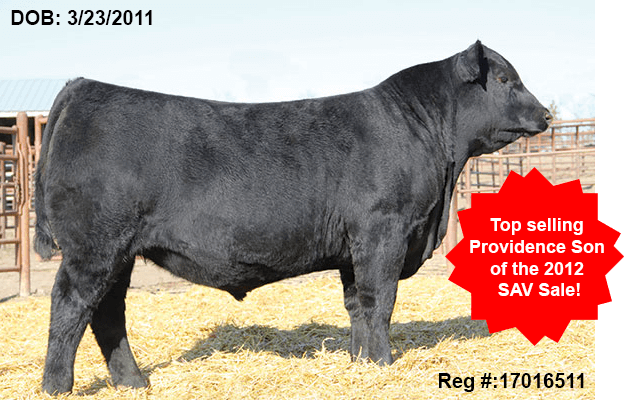 His maternal brother SAV Grass Roots 5282 was the featured Lot 1 bull in the 2016 SAV sale selling for $50,000 to Zeus Farms.